KKKL Travel & Tours is the subsidiary of KKKL Express Sdn Bhd Malaysia. KKKL Travel & Tours offer daily bus trip from Singapore to Kuala Lumpur, Singapore to Malacca, Singapore to Genting Highlands, Singapore to Port Dickson, Singapore to Tioman and Awana Resort. All their buses are less than 3 years old and come with 27 spacious super VIP seats and plenty of leg space in order to provide the best possible comfort and a peace of mind to the customers travelling back and forth between Singapore and Malaysia. 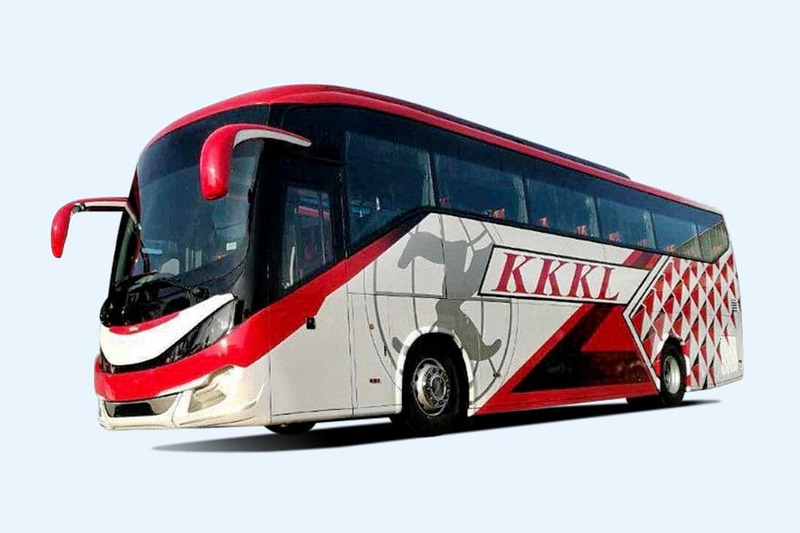 All the bus drivers from KKKL Travel & Tours are experienced and well trained to meet the customers’ expectation and to provide safe travelling experience for the customers as well. KKKL Travel & Tours stopping point in Kuala Lumpur is at Chinatown, at the heart of Kuala Lumpur where customer can assess to the most happening places in Kuala Lumpur such as Bukit Bintang, Chinatown tourist spot. For Singapore to Malacca, their bus will stop at Melaka Sentral, the bus terminal in Malacca. Moreover, their Genting coach will stop at Mushroom Farm Bus Terminal and Awana Resort (5 star resort at Genting). In addition, KKKL Travel & Tours also offers a special pickup point from Kovan Hub for bus from Singapore to Malacca, Genting Highlands and Kuala Lumpur. Passengers can easily reach Kovan Hub by taking the MRT North East Line (Purple Line) and stop at Kovan Hub. There is a mall nearby Kovan Hub called the Heartland Mall that passengers can visit before their departure. Besides coach services, KKKL Travel & Tours also offer free and easy tour packages to Tioman, Malacca, Genting, KL, Awana Resort, Port Dickson, Ipoh and also Penang. With years of experience and excellent serving reputation in bus industry, KKKL Travel & Tours is committed to provide their service to the highest standards.